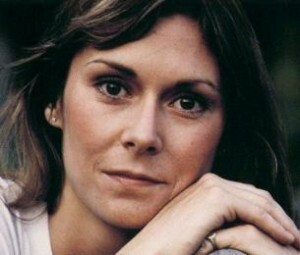 Kate Jackson has been a favorite television star several times, with the series Scarecrow and Mrs. King and of course Charlie’s Angels. Jackson has also been outspoken about two bouts of breast cancer, one of which involved a partial mastectomy and reconstructive surgery. Jackson was considered one of the more natural of the Charlie’s Angels. But in an appearance at an award show (the Emmy awards) with late Farrah Fawcett and Jaclyn Smith, she showed some signs of having gone plastic. The most notable change in Jackson is that her eyes seem to have been tilted sharply up at the edges. She had almond shaped tilted upward eyes to begin with, but the look is way more pronounced and can be considered extreme. It may be the result of an eye tilt operation called a canthopexy, similar to that of Jocelyn Wildenstein who had her eyes tilted look exotic, aka freaky. Jackson definitely has slanty eyes and taut skin, however when reviewed by plastic surgeons she was deemed to be aging the most naturally, at least out of the three angels (Jackson, Fawcett and Smith). She has always been really pretty with a sweet personality too.